To foster a collaborative and supportive environment for Digital Schools Network, by registering, Schools will need to agree to agree and abide by the following Principles and Code of Conduct. 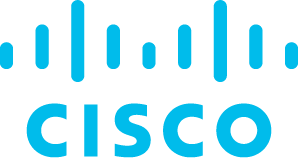 Cisco Systems Inc, as moderator of the network reserves the right, at any time in consultation with its partners to expel or withdraw membership of participants should they deem not to comply with these guiding principles or engage in activities that are illegal, uncompliant and disruptive. *Please note this program is available only to schools in Australia, New Zealand, Japan, India, and Singapore. By signing up for the program, I acknowledge that I have the permission of my School to participate in the program, and agree to the Digital Schools Network Principles and Code of Conduct. By signing up, I note that the School’s logo may be used for Digital Schools Network website and related collaterals. The program ensures that the necessary approvals and permissions will be requested from your school before publishing.
" str += "(hello" + escape(item.CountryName) + " - " + escape(item.StateName) + ")" str += "
" + escape(item.Name) + "